If you’re reading this you’re most likely trying to find the most creative, unforgettable way to ask your loved one to be your life partner. [From personal experience, there’s no way to prepare yourself for the butterflies that will be twirling in your stomach as you ask THE question. But, you can definitely prepare everything else by selecting a great venue, undoubted support, and crisp photographer.] 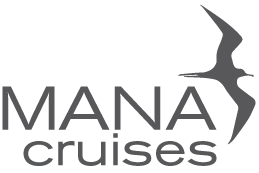 Here at MANA Cruises, we’ve tailored a specific package for your life changing moment. We’ll provide every necessity for the perfect boat proposal. From the yacht, to the set up, the flowers, the music, and even the timing. There’s is no better way to pop the big question. As you and your loved one board your private yacht shortly before sunset, receive fresh local Hawaiian leis. Head up to the bow & get cozy on our bean bag chairs surrounded by dozens of local flowers to set the mood. As we sail up the coast, inhale the salt mist and intake the sights. When the time is right, we will set the scene for you to get down on that knee and ask your parter the biggest question of your life. All professionally photographed – you won’t need to worry about losing precious moments, focus on enjoying your emotions. This charter or package add-on is also suitable for honeymooners, recent engagements, or anyone wanting to add a bit of romantic aloha to their sail. Please contact us for availability and inquiries.